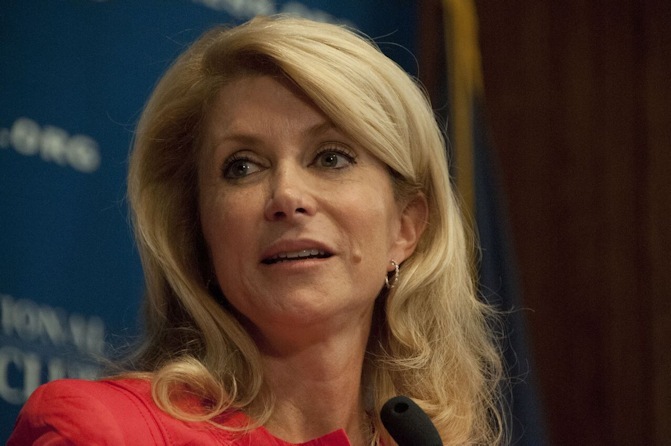 No discussion about the abortion industry at its worst would be complete without hearing from Wendy Davis, the failed candidate for Governor of Texas who rose to fame by filibustering on behalf of the “right” to execute five-month-old preborn babies. Planned Parenthood was a lifeline for me many years ago when I was an uninsured teenaged mother struggling financially. Had Planned Parenthood not been there for me, I’d not have had access to basic health screenings and contraceptive care. Really? Legitimate women’s health clinics outnumber Planned Parenthoods twentyfold nationwide. Even assuming what you’re saying was true back then, it’s certainly not true today. Even more compelling are the stories of women whose cancers would have otherwise gone undiagnosed and untreated were it not for care from Planned Parenthood. Wrong. Planned Parenthood doesn’t provide mammograms, just basic screenings—which are also covered by real medical centers. Making Planned Parenthood the “bogeyman” because abortion care comprises 3 percent of its services, and attempting to defund it in order to score political points, not only represents demagoguery of the worst kind, it also threatens to endanger the health of countless women. I guess Wendy doesn’t read the Washington Post, which deemed the 3% figure a three-Pinocchio falsehood achieved by weighing all services without regard for time, cost, or effort put into them. And to flatly claim – in the wake of eight increasingly nightmarish undercover videos – that’s all the push is about is almost as dishonest as that time she tried to claim 7-pound babies are never aborted. The Texas Policy Evaluation Project at the University of Texas found that 55 percent of Texas women now report at least one barrier to accessing reproductive healthcare, including life-saving cancer screenings or family planning services. And, with these barriers in place, the Health and Human Services Commission estimated that an additional 23,760 babies would be born under Medicaid in 2014-15, with a projected cost of $136 million in state dollars from 2013 through 2015. Funny how someone who favored higher spending as a State Senator and expanding Medicaid as a gubernatorial candidate suddenly becomes a penny-pincher once the subject turns to the price tag of letting children live. To cite just one example, according to the Department of State Health Services, the state’s budget for reproductive health and family planning for uninsured, low-income women served just 47,332 clients in 2012, a drastic 77 percent decrease from the 202,968 clients served in 2011. “The data belies the claim that Planned Parenthood was necessary to women’s health care in Texas,” Mattox said. Besides, even if we took at face value the objection that legitimate medical clinics aren’t currently able to pick up the slack if Planned Parenthood disappeared, here’s a crazy thought: how much more could the providers who don’t kill babies do if they received the $528 million the government is currently sending the ones who do? There’s something fitting about Wendy Davis’s total disinterest in what Planned Parenthood has actually done to incite this latest wave of opposition—this was, after all, the woman who didn’t know the basic facts of her own pet issue when seeking the governorship based on her passion for that issue. But just as cheap abortion shilling failed to give her victory then, this op-ed will do nothing to impress anyone beyond her loyalists in the Cult of the Pink Sneakers.